Choosing your first espresso machine can seem daunting at first. 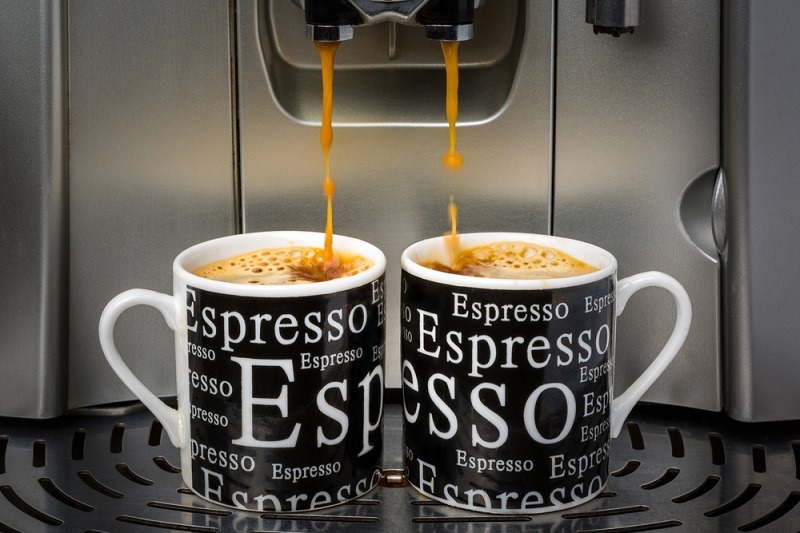 There are many types of espresso machines to choose from. What makes it even more difficult is that what is the best espresso machine for you may not be the best machine for someone else! This guide will walk you through the basics of selecting a good machine for your needs. Most of us will be most interested in the semi-automatic machines. They offer a good balance of ease of use and customization. They are just one type of machine found on the market today. These are the types of espresso machines we will be looking at. I have ordered them from hardest to easiest to use. The Manual Machine – These are machines that require a lot of skill to use. They are also known as level machines. You have control over nearly every part of the brewing process. The Semi-Automatic Machine – These machines have automated features. The pump, the temperature controls for the boiler and other parts of the process are controlled by the machine. The are hands-on features such as switches for the pump. The Automatic Machine – Nearly everything is automated. The temperature controls, the pump and water volumes are all preset. Most machines have a few settings that you can choose from. The Super-Automatic Machine – This is a machine that will do it all for you. Simply press a button, wait, and take your drink. The machine will grind, dose, tamp, brew and finally eject the used puck. These machines produce decent espresso, but are best for those of us in a hurry. While not a true espresso machine, there are so-called ‘steam’ espresso machines on the market. These make a drink that is more like a very strong coffee. 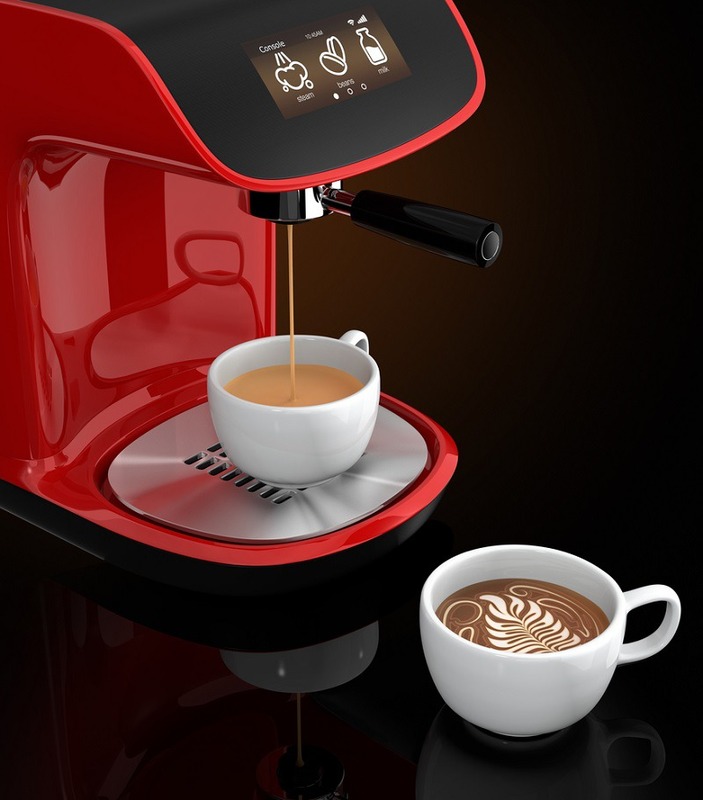 Semi-automatic and manual espresso machines are further divided up into classes of machine. Don’t get me wrong, they all make espresso! The differences in how each class of machine brews up its delicious drink mostly vary by price point. The more money you spend, the more features you may get. These are very common underneath the 1,000 dollar price point. These machines have just one boiler. They have two or more thermostats to control various functions hidden inside the machine. One thermostat is set to properly brew up coffee. The other is set at a higher temperature, perfect for steaming milk. You will have to flip a switch to choose which setting you’d like to use. As you can guess, you can’t brew and steam at the same time. You will start seeing these machines sold around the 1200 dollar price point. There is one large boiler that holds water at a steady 240F. This is perfect for steam production. When you are ready to brew, the super-heated water is pushed to the grouphead through a coil inside the boiler. As it flows through this metal coiled tube, or the heat exchanger, it is heated up even more to the ideal brewing temperature. You can brew and steam at the same time with a dual use heat exchanger machine. These are pricey machines. Most sell for more than 2,000 dollars. A very few sell for a little less than that. They have twin water boilers. One boiler keeps water at the perfect brewing temperature. The other boiler holds water ready to steam. Some use a single large boiler and a thermoblock instead. A thermoblock is something much like a car’s radiator system. As the water travels through the coiled metal, it gets hotter and hotter. The super heated water can then be used to brew. A quick tip. If you decide to buy a heat exchanger machine, look for one that has either a large reservoir or one that can be connected to your plumbing. Heat exchanger machines without either a large reservoir or a tap line can suffer from unstable temperatures. Over time that can damage your investment. How to choose an espresso machine is perhaps the first question we find ourselves asking when faced with the many available today. I’m going to delve a little more into each type of machine. I am also going to explain a lot more about how each type fits into our lifestyles. These machines are called automatic mostly because they control the delivery of hot water to your coffee puck for you. You simply choose a setting, press a button, and the machine will release a preset amount of water. You still have to grind your beans, tamp them and slide the puck into your machine. Everything else is done for you. These machines even regulate water temperature and pressure! A typical machine will have four settings. These are a one shot short, two shots short, a one shot long and a two shots long. Some machines will have a fifth setting. This will be a semi-automatic button that will let you control the water release. Most of the middle range and higher end automatic machines will let you change the programmed settings. This means that you can adjust how much water goes into each puck of coffee. It’s a nice feature if you enjoy a slightly different shot size. Automatic machines are best for two types of espresso drinkers. The first group includes those of us who are often a little rushed for time in the morning. We still have time to tamp our own brew, but we don’t want to babysit the machine as it does its thing. The other group includes those of us who enjoy getting a little hand-on in the brewing process but don’t need to have complete control. I know I enjoy trying to get the perfect puck, but at the same time, I don’t always want to fiddle around a lot while making my drink. From the popularity of these machines, I’m going to guess that most of us will be happy with an automatic or semi-automatic espresso machine. They offer just enough control to let us indulge ourselves while not being a pain to work with. Many serious espresso fans don’t consider these machines to be ‘real’ espresso machines as they are so simple to use. I’ve already mentioned that they take care of the entire process for you. All you need to do is keep the machine clean. And, of course, you must fill the bean hopper. You’ll also have to keep the water topped off. And you’ll also want to empty out the used grounds. But that’s all you need to do. Most of these machines do make a decent espresso. But you don’t generally have the ability to change something you don’t care for. So, if you are very particular about your espresso, these machines are not for you. If you even think you might become particular about your coffee, then these machines are probably not for you either. If you are particular, but don’t always want or need the perfect shot, you might want to consider one of these machines for those hurried days. They are perfect for those of us who are often rushed for time. They are as easy to use and just as fast as a regular coffee brewer. If all you want is a machine that can easily make you an espresso, then this is what you’re probably looking for. Many of us aspire to use a manual machine. These are the machines that can make that elusive perfect cup of espresso, the coveted ‘god shot’. But they are not new user-friendly. You are just as likely to ruin your coffee as brew up something amazing at first. Choosing how long your preinfusion will take. How long of a shot you will like to pull. The best time to pull your shot, based on preference and experience. Picking just the right amount of pressure to apply to the grounds to get the coveted ‘god shot’. Since 1947, lever espresso machines have been the machines of choice for high-end coffee shops and discerning home users. But just how do they work? And, is one of these machines right for your home? Let’s look at the two types of manual machines. Spring lever machines are the easier of the two to use. So, if you are a newer brewer, these machines might be less frustrating to learn to use. You will be pressing and releasing a large lever to control the brew process. In fact, you can easily identify a lever machine. They have a large, upright lever that’s hard to miss. The spring machine has a calibrated spring deep within the machine. It is used to control the flow of hot water through the coffee grounds. When you release the lever, the water is pushed through the grounds. In general, these machines have a boiler that is set to the steam temperature. This means you can brew your shot and quickly steam your milk. These are the most skill intensive machines made. If you are very particular about your espresso, than a direct lever machine just might be right for you. But be prepared to perfect your brew technique! A direct lever machine also has a large lever on the side. But on one of these machines it will be in a down position while at rest. There is no spring to provide pressure. You will be working as the pump while operating one of these. To get the so-called ‘god shot’ you will need to know just how each coffee blend will react to the brewing process. You’ll need to know how and when to vary the pressure you are applying to get the most out of your puck. I won’t lie, that is a skill that takes time to develop! Once you have it mastered, you will be drinking the finest brew you will have ever tasted. It will make you forget all about the practice cups that came before it. People who own manual machines include those of us who enjoy the art of making a perfect cup. At this level of coffee craft, it’s not the machine that you must rely on to get something drinkable. 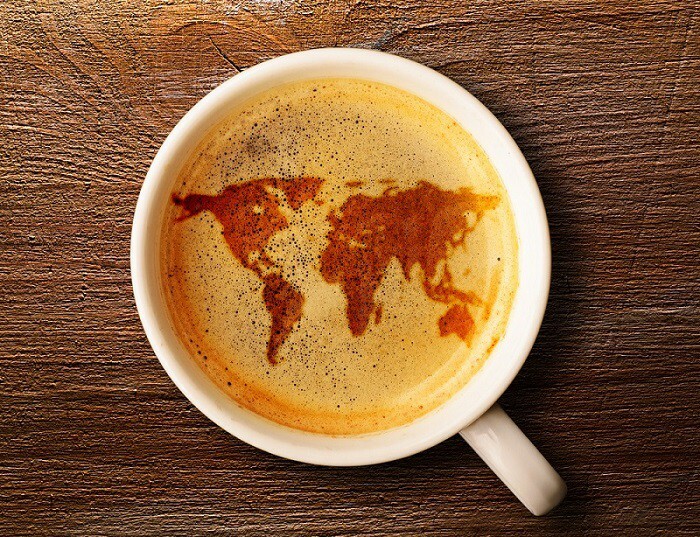 They all can make a great brew. Like other fine culinary arts, you will have to rely skilled hands of the barista. The people who use and love their manual machines must also enjoy the fine art of making the drink itself. These machines are not for those of us who just want a great espresso. The semi-automatics are far easier to use. If you are in love with the process as much as you are enamored with a good espresso, then a manual machine might be for you. If you are more concerned with a good drink, you might want to stick with a semi-automatic machine for simplicity’s sake. Whichever machine you choose to add to your home should fit in with your lifestyle. Today we have a machine to fill nearly every budget, every available counter-top space and nearly every skill level. 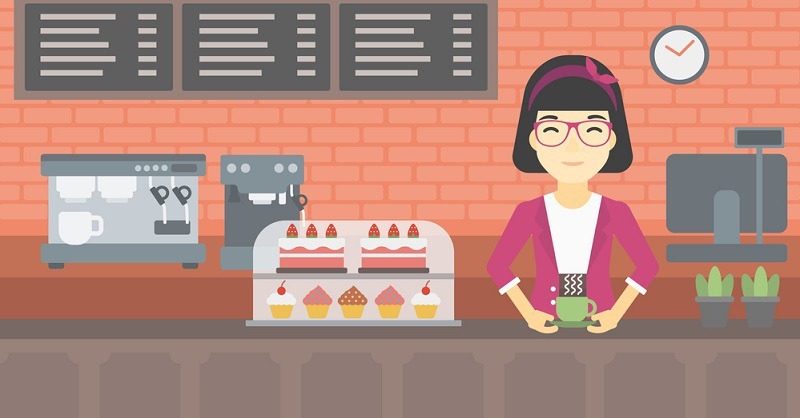 Coffee and Espresso Culture: What Do All Those Terms Mean?